Tennis Elbow is a persistent painful condition from the outer side of the elbow. Soreness and aching can also be felt in the forearm and upper arm. Usually the pain is made worse with activity, not necessarily tennis. 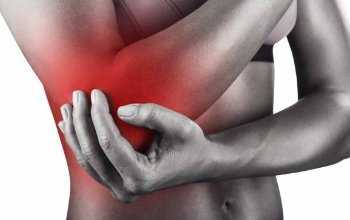 Tennis elbow is the result of strain and inflammation in a small area where several muscles attach to the skeleton. The muscles work to straighten the wrist and the fingers; these actions may particularly increase pain in tennis elbow sufferers. This condition can be difficult to treat and there is scientific controversy about the best treatment for tennis elbow. Many patients will have experienced problems intermittently for a number of years and may have tried a variety of treatments. Rest and physiotherapy are usually the first options for treatment. Steroid injections may be helpful and if these are unsuccessful a short operation to release the muscles at the elbow can be helpful. This is an awake day-case (local anaesthetic) operation. A gentle return to normal activities is encouraged for a few weeks following surgery.